Do you have a deep, personal passion to change the world for shelter pets? Are you ready to develop the knowledge, experience, and wisdom to join a shelter and make an immediate positive impact for shelter animals and the communities they live in? If this is you, then you might be our next shelter medicine intern. Although keeping animals in shelters healthy is essential to their placement in homes, there’s a critical shortage of veterinarians with special expertise in shelter medicine. 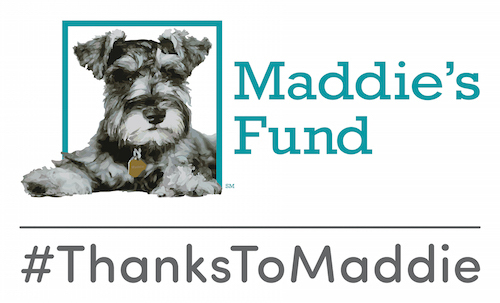 With financial sponsorship by Maddie’s Fund, our internship program is designed to produce a skilled practitioner well-equipped for shelter practice or to be competitive for a residency program in the shelter medicine specialty. The core component of the internship is hands-on medical, behavioral, and surgical care of patients in a mentored shelter environment. The intern will participate in several clinical rotations selected from a palette of open-admission municipal and limited-admission adoption-guarantee shelters in Florida. The participating shelters have advanced shelter medicine programs led by full-time shelter veterinarians, most of whom are alumni of the Maddie’s Shelter Medicine Program. These in-shelter rotations provide training in best practices for preventive healthcare, treatment of ill and injured animals, monitoring animal health and welfare, principles of population medicine and management, infectious disease recognition and response, community cat management, cruelty investigations, and surgery. Back at the college, the intern will work with the shelter medicine faculty in veterinary forensic medicine, shelter consultations, diagnosis and management of disease outbreaks in shelters, and large-scale field responses to disasters involving animals, including mass seizures of abused or neglected animals. Applications must be submitted online through the Veterinary Internship and Residency Matching Program by Dec 4, 2017. You can view our program’s listing here, and get full details on applying through the VIRMP website.